Main Phase: Remove a counter from one of your ready characters to draw a card. 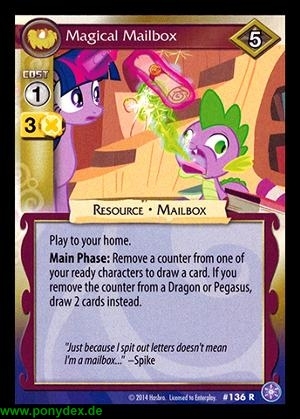 If you remove the counter from a Dragon or Pegasus, draw 2 cards instead. Dieser Karte ist seit Januar 2015 aus dem Metagame gebannt.